Stonewall is an organisation who are pushing to create equality for all LGBTQ+. Stonewall partner with organisations to drive awareness, so LGBTQ+ communities can continue to find ways to flourish, and individuals can reach their full potential. Stonewall is there to support anyone who can't yet be themselves, there website is full of information as well as a Landline to call for help and guidance. 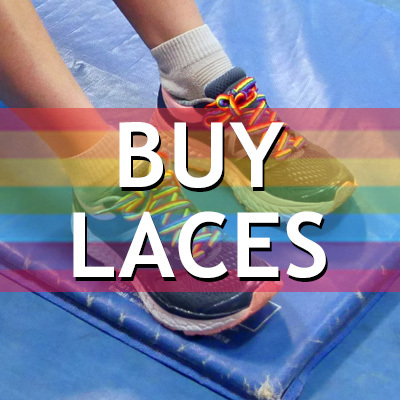 Why is British Triathlon supporting Rainbow Laces? 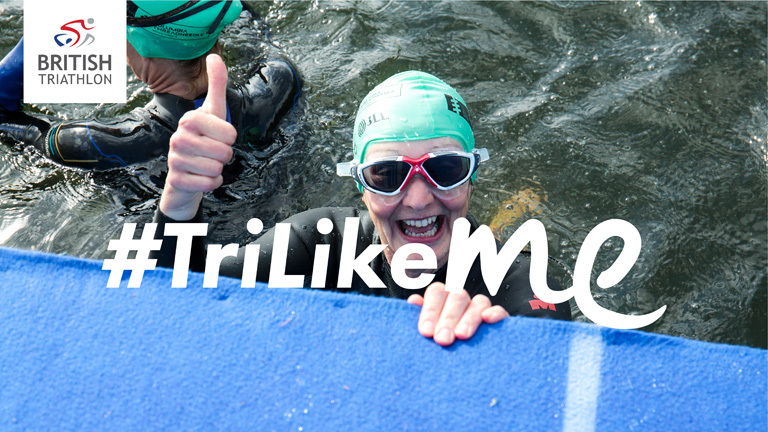 Here at British Triathlon, we love all things triathlon and want everyone to experience the challenge and thrill of the swim, bike, run. This means we want all to get involved, because we believe Sport is for Everyone! 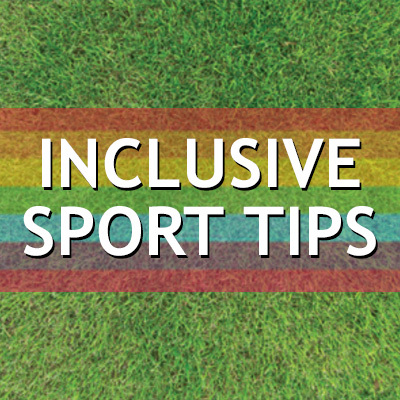 Rainbow Laces is a campaign which we a proud to support, as it promotes equality and inclusivity within sport. 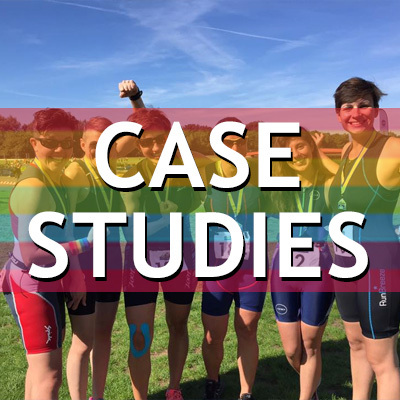 Several LGBTQ+ triathletes have shared their experience with us which you can check out on the link below. What are Stonewall's key priorities? Individuals make change happen. We will support individuals to work out how they can make a difference for LGBT people at work, home and in their communities. We will equip people with the tools and confidence to connect with, influence and enable others in their communities, by challenging homophobic, biphobic and transphobic bullying, celebrating difference and improving inclusion and visibility of role models. We will empower people of all ages and backgrounds to be role models and allies wherever they live, work, shop, socialise and pray. We will support them, and the people they reach, to be themselves and achieve their full potential. We will value all the individuals we work with, and we will share our expertise but also learn from them and their experiences. Institutions have power and influence. We will reach more people and have a greater impact by transforming institutions and by embedding an inclusive and accepting culture. We will work with all organisations, including workplaces, schools, healthcare providers, sports clubs and religious institutions, here and abroad, to ensure they offer inclusive, equal and inspiring environments for lesbian, gay, bi and trans people. We will also work with institutions to enable them to understand the huge benefits that lesbian, gay, bi and trans people can bring to an organisation. A different set of experiences and perspectives can help organisations to flourish. We will help institutions to recognise the value of these different perspectives, and the benefits they bring all employees, service users and members of the community. We will go deeper into our communities than ever before to reach people who we may not have had a relationship with in the past, including people from a range of ethnic and religious backgrounds, as well as rural communities. We will work with these communities, and partners and allies close to these communities, to demonstrate the strengths that our differences can bring, and to let all lesbian, gay, bi and trans people, here and abroad, know they’re not alone. We will work to ensure that LGBT role models and allies are visible throughout public life in order to create an environment that enables all lesbian, gay, bi and trans people to participate fully in society. In order to achieve a world where everyone, everywhere, is free to be themselves, we will work together, as diverse LGBT communities, and with our wider communities, to change and win hearts and minds. We will continue to campaign and lobby government to change laws that do not ensure equality for LGBT people, or laws that do not go far enough. Despite good progress for lesbian, gay and bisexual people under the law, trans people still do not have the right legal framework to enable them to be themselves. We will fight to ensure that the laws affecting trans people are reviewed and reformed in the next government. We will work alongside the government to ensure they are not complacent about the rights of lesbian, gay, bi and trans people, and to ensure everyone, everywhere is free to be themselves.